Join Joe Danger on the set of a very scary movie! Featuring 15 new scenes, across 3 complete tours, with 6 ghoulish new characters. Hunt brains as a Zombie, sabotage dark rituals as a Vampire Hunter and escape the haunted abyss as a Werebear! Unlock horrifying characters in Movie and Multiplayer modes and get a whole new set of leaderboards and Achievements! 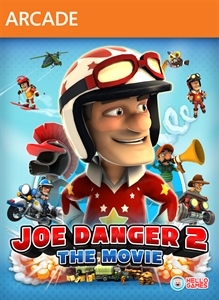 The latest title update for Joe Danger 2 is required to use this Game Add-On content.